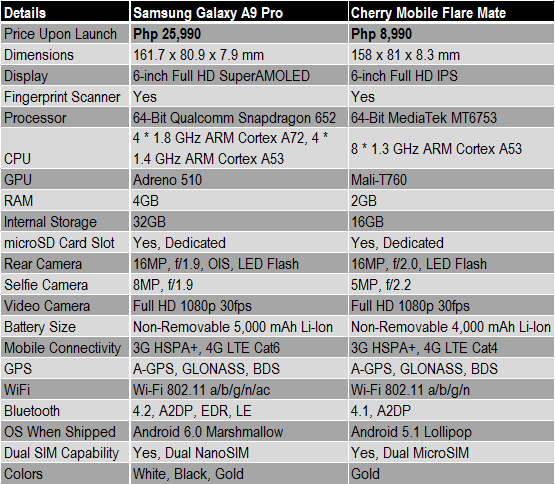 Just thought I'd do a quick comparison between the new Samsung Galaxy A9 Pro and Cherry Mobile Flare Mate, which is the current flagship phablet of the Philippines' biggest handset maker. These two handsets are alike in a number of ways. Both have a 6-inch Full HD display, a 64-Bit Octa Core processor, 16 MegaPixel main camera, 4G LTE mobile connectivity support, Dual SIM capability, real metal accents on the exterior, a large battery, and a Fingerprint Scanner for quickly unlocking the interface. 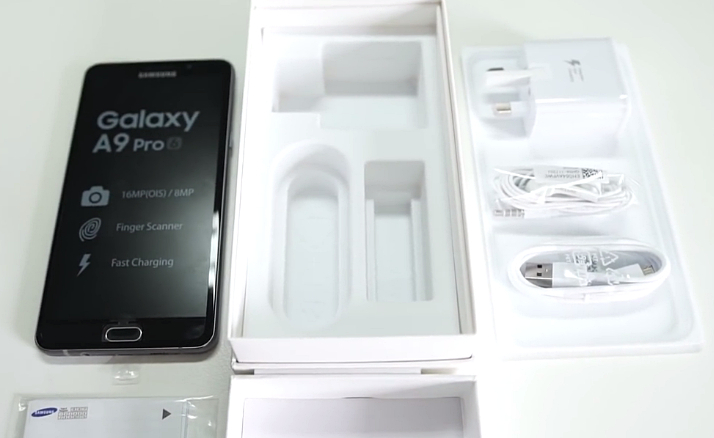 The official SGA9Pro retail package sells for Php 25,990 in the Philippines. On the other hand, you get all these for just Php 8,990. In terms of looks, the A9 Pro flaunts a design identity reminiscent of the Galaxy S6 flagship, featuring two glass panels sandwiching a real metal mid-frame. Cherry Mobile Flare Mate, in contrast, has a more subdued yet equally elegant design language, supporting a 2.5D curved glass face and a rather thick metal band running down its sides. As for their screen, as I've noted, both don a massive 6-inch Full HD panel. A9 Pro's display, however, is SuperAMOLED which makes colors pop-out more and is more energy efficient. 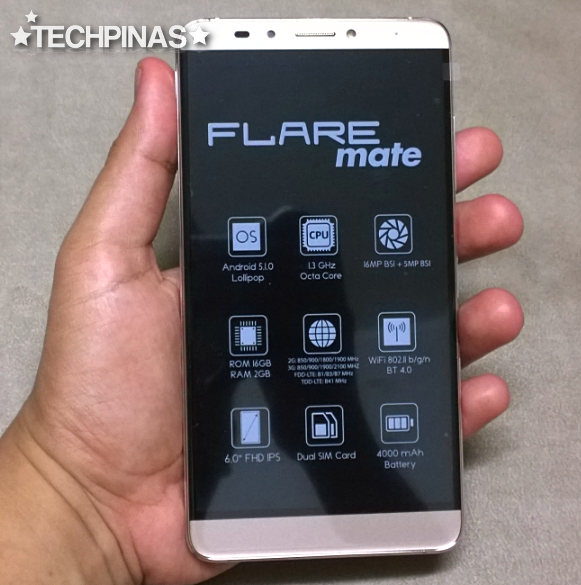 Flare Mate's screen is IPS, which is LED back-lit and delivers more natural looking hues. Which display type is better? I think it's a matter of preference. 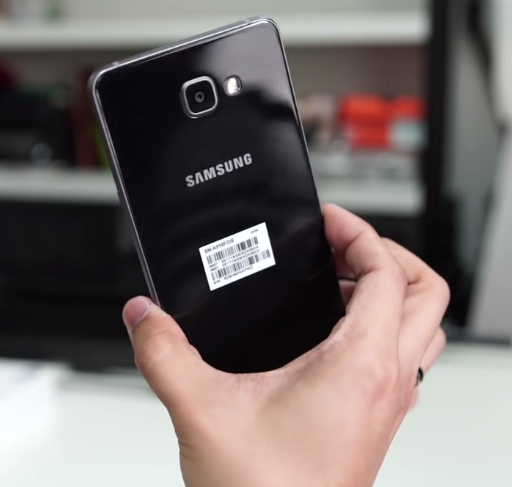 But for me, SuperAMOLED takes the cake. When it comes to imaging capabilities, as expected, Samsung Galaxy A9 Pro is superior -- with the Flare Mate giving quite a fight. Both phones have a 16 MegaPixel rear shooter but the one on the Korean company's device benefits from Optical Image Stabilization and a larger f/1.9 aperture, which should result in better low light shots. The same thing can be said about the A9 Pro's 8 MP f/1.9 front camera for selfies when compared to its competitor's 5MP selfie shooter. One of the key features of either phablets is their Fingerprint Scanner that lets the owner unlock the device with but a touch of a finger. 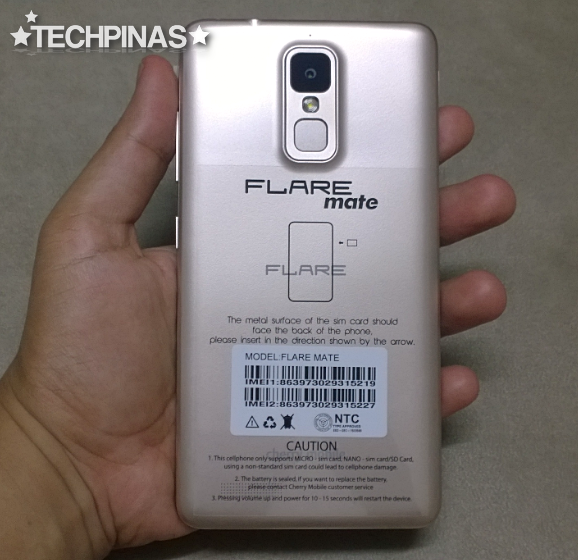 The one on Flare Mate can be found at the back below the camera module while the Galaxy A9 Pro has its finger sensor lining the cap of its home button in front. 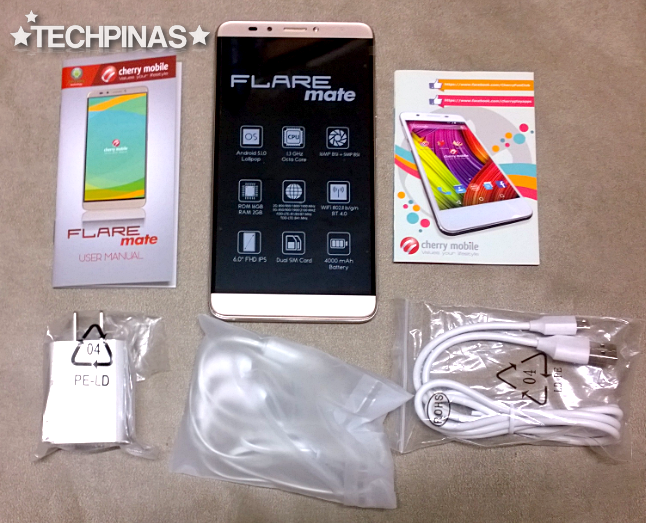 Given the fact that you can purchase three Cherry Mobile Flare Mate units with the amount you'd spend buying the Samsung Galaxy A9 Pro, I was expecting a total blow out or a massacre in favor of the Korean company when we talk about internal hardware. But that's not quite the case. I mean, sure the Galaxy A9 Pro won in practically all departments but - when you put them beside each other - you really can't call the Flare Mate a weakling in terms of innards. For one, CM's phablet is powered by a 28nm 64-Bit Octa Core MediaTek MT6753 chipset which is by no means a push over when it comes to delivering a smooth 3D gaming experience. Note that A9 Pro's Qualcomm Snapdragon 652 processor is also 28nm and has a 64-Bit Octa Core architecture but is slightly better as it has four ARM Cortex A72 cores on top of the other A53s. I guess, with all that, I want to throw the question that I posted above straight to you. 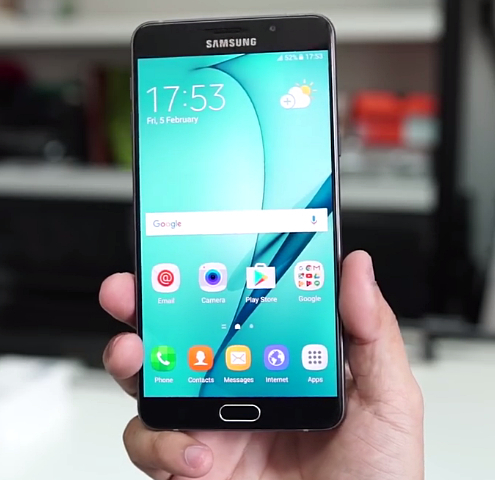 Do you think Samsung Galaxy A9 Pro is worth it? And aside from that: Do you think it's a wise and 'good value for money' purchase? Or would you rather save your money and buy a flagship smartphone by a local brand that comes with a several similar features? Let me know your thoughts by writing them down in the comments section below.